Home > CPAP Machine Toronto > When will I be able to get rid of my CPAP? Maybe you have just been diagnosed by your Toronto healthcare professional with sleep apnea and told you need a CPAP for sleep. Maybe you’ve had sleep apnea for years and lost weight so the CPAP doesn’t seem like it is doing much anymore. You are wondering “when I will be able to get rid of my CPAP?” well the answer to that question is unfortunately you will not be able to get rid of it. A diagnosis of sleep apnea is not world ending. Yes there will be some changes regarding your sleep but those changes will keep you healthy and give you more energy during the day. No there is no cure, what that means is you will need your CPAP for the rest of your life. Imagine not feeling like you can’t wake up or that you are going to doze off driving to work. Remember when you were not behind on your work? When you were not constantly dozing off? It can be that way again with the help of the CPAP machine! Your CPAP machine is about to become one of your new best friends. It is going to give you some of the best sleep of your life and you will have energy to engage in the activities you’ve quit doing because you were too tired. It will take a few nights to 2 weeks to get used to your CPAP mask. If you are still not happy with the mask in 14 days, then you need to try a different style mask. Are you claustrophobic, do having things over your mouth and nose area make you feel as if you are choking? Do you have an extremely sensitive nose? Are you a side sleeper or do you sleep on your back or stomach? All of these questions need to be answered to the best of your ability when choosing a mask, as it will help narrow down the correct choice for you. You need to understand that having a positive attitude toward the CPAP mask and machine is a large part of being able to get used to it. Your CPAP will help you have more energy to live life. You are going to get the best sleep you have ever had in your life. 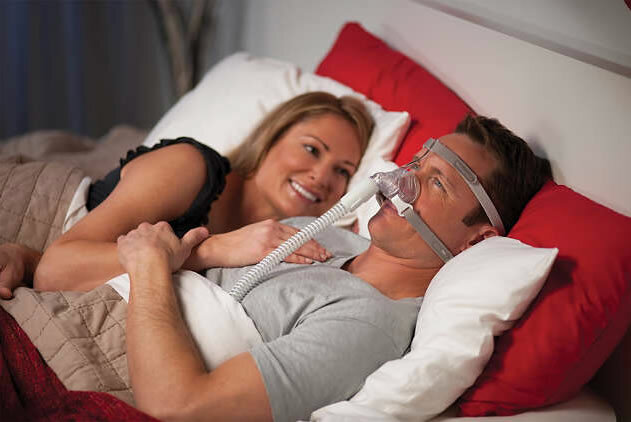 Remember the positives when choosing your mask and using your CPAP.